Charles Bolton and his wife are taking two FBI agents to court. Neither of the Boltons testified in their own defense at trial. Both were convicted of tax crimes, but neither were indicted in the jail food theft conspiracy. Their sentences were enhanced due to currently sealed evidence and sealed testimony that comprises the Pre Sentencing Report (PSR). That testimony includes Jerry Wayne Woodland and Alan Haralson, along with several others. 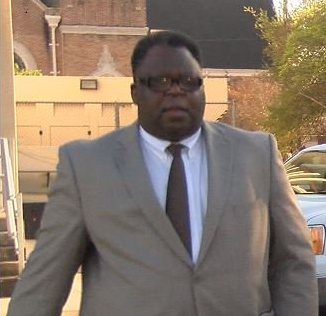 Both Haralson and Woodland pled guilty to conspiring with "others" to steal hundreds of thousands of dollars worth of food from the Billy McGee Detention Center over a twelve year period. Haralson died a few months after pleading guilty. Woodland served one year followed by house arrest. To learn more search #UnafraidToFeed on Facebook. Really??? Does he really think the courts are that stupid?? They already PROVED he stole the food. Actually that was never proven. Bolton was never charged with food theft. He was convicted on tax evasion. But they had the invoices..why didn’t they add that in as well?? I will be very surprised if this survives summary judgment proceedings. Bolton has no credibility with the courts now. Can’t wait to see how this all plays out, maybe the whole rotten corrupt bunch will be in the big house with ole Bubba when this is over. Pack your k-y jelly,you gonna need it! ! Some people just believe âThe Laws â DO NOT apply to THEM! Say what?? Some people just don’t get it!! The guy stole $700,000 worth of food purchased by county government, for inmate nourishment and he sold and profited from that long term theft. Now he fells slandered over this and wants to sue?????? I think we could already assume he’s a slime ball but this really takes the cake. ð². How ignorant is he! The court system should never let him continue this ridiculous circus. I think this guy has already cost the tax payers enough money. County inmates get fed for about 5$ a day.